Waiting-eternally-for-the-right-time /opportunity type : This guy is the opposite of the one above, he knows that equities can do well in the long run but some how feels that if he waits long enough an opportunity to buy low will come. The problem is that he never invests or if he does unfortunately it will be at the top of the market as he looses patience and goes all in at the worst possible time. There is a solution for this investor, he first needs to invest in a liquid fund and move money periodically to equities and if by chance market does fall he can buy more. The-what-about-trump-effect-on-______ ( China / IT/ etc)-investor : This investor is alarmed by headlines of today forgetting that the headlines keep changing. Our own economy and markets have gone through terrible droughts, terrorist attacks, near war situations , global financial crisis and many other calamities but the fact remains that this hard working nation grows. Grows at 6-7-8 % does not matter, It grows relentlessly. If we wait patiently for every thing to be perfect before investing, we will never be able to. Moreover our financial situation is in our hands. 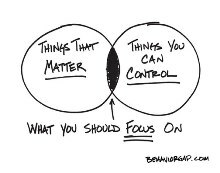 What matters is how much we can save and invest and how we allocate that investments across assets to grow, rest is all noise. Though this blog talks about three types of investor there is a rare species called the fourth type. This investors does not focus on finding the top investments, he focuses on how much can he save and what are his goals. He focuses on what his in his control ie how much can he invest and how long can he stay invested and what is his asset allocation between safe and risky assets. He does read the headlines obviously but does not react to it as they are beyond his control and he tends to focus on what is in his control. For him investing is what they call in Hindi as ” Lambi race ka ghoda” or the horse that is meant for long races. The long race of our working carreers, our family, and our own goals for children or retirement matter most than searching for the best investment, waiting for the right time or fearing the headlines. We do hope that you are playing the long race in your control and not the short race that can go anyway. Wishing a happy and fun filled weekend with family and friends. Posted by shankar on Friday, June 16, 2017, at 12:28 pm. Filed under Investments. Follow any responses to this post with its comments RSS feed. You can post a comment or trackback from your blog. « What Howard Marks can teach investors ?